Home » Reviews » 2.0 Movie Review: Shankar BLOWS Your Mind & Moves Your Heart! The story of 2.0 is so simple that it could be explained in two lines but I’ll not tell either of them just because I want everyone to experience this first-hand. Without any spoilers, let’s just say Dr Waseegaran has a new robot in Nila (Amy Jackson) and she’s breathtakingly beautiful to start with. Waseegaran wants Chitti back but because of back-door politics, this becomes a tough task. S. Shankar’s story revolves around his magnanimous vision which never goes out of sight from the first second till the last. Everything happening on screen is lo larger than life, along with keeping you intrigued, it keeps you surprising every moment. Two of friends, who don’t understand the language, watched the film in Tamil at 6 am at Rajinikanth’s home theatre in Mumbai & they loved it like anything. This speaks all! Those who don’t even understand a single word of Tamil were intrigues till the end – imagine watching this in your own language. Anthony’s editing somewhere drags and a bit more tightness would’ve crisped the core of the story. This requires another mini film which should just talk about all the efforts invested behind this visual spectacle. All said and done, 2.0 is a fully fledged package having a good looking body & a soul to which you’ll connect instantly. There’s a lot for both Rajinikanth & Akshay Kumar fans; not a single person will leave theatres half-heartedly. A MUST WATCH in cinema halls! (if possible – 3D). 2.0 Movie releases on 29th November 2018. Share with us your experience of watching 2.0 Movie. The review we’ve been waiting to hear. Sky is the limit now!!! Wait and watch bro how zero broke all records of 2.0. Ahhh…Another paid review from Koimoi. I just don’t understand how can you give 4/5 to this crap? This film is neither Sci-fi nor Horror. Its just another vengeance film with ordinary predictable plot and some good VFX. Many scenes are copied from Hollywood films too. Are u watching this movie 🎬 now…..if not then plz tell me when u watch this movie…..plz mention show timing (??) ?? on a spec/template) and Electro-Magnetic Radiations. Its prequel (Robo) talked about Artificial Intelligence, Search algorithms. I dont understand what else you need for a sci-fi film. Rahul – Don’t compare 2.0 & Zero. Zero might do bigger business in Hindi Language but overall, 2.0’s business will be much higher (all language). Ashant – If this is not Sc-fi, then what is the exact idea of Sci-fi to you? And who on the earth told you that this would be a horror movie? Also, we are fine with inspired/copied scenes as long as it succeeds in entertaining us. Story line was clear from the promos itself, Probably, you went with wrong expectations from movie. You can watch it on weekdays, when prices come down. You guys are notworthable for the movie like this not at all…… i guess. Ha ha…. Good one Mishra Saab!!!! Really??? 4 stars for this movie? One of the worst ever seen…. Bro… What did you smoke before writing this review. 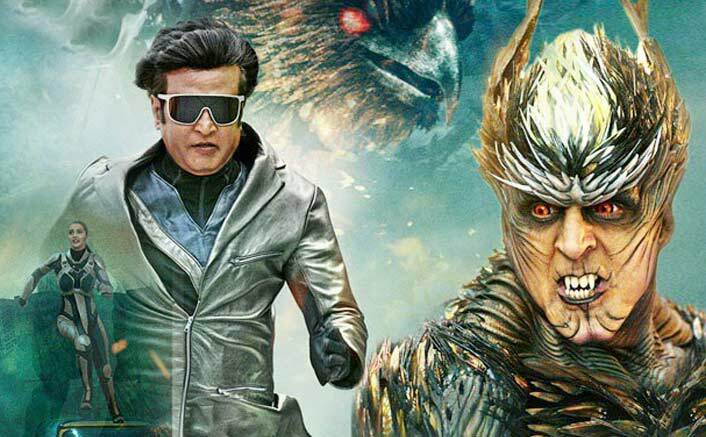 The movie is grotesque with a very generic story line , a jaded Rajinikanth , over the top side characters and that 500 cr VFX. Yes !! The worst part of the movie is it’s VFX. Half of the movie a bird (made from phones ) is flying here and there and you feel so disinterested in the story. During the climax , director contradicts his own preaching by showing hero trying to kill birds. All-in-all a very avoidable movie. ‘2.0’ हो चुकी है आज रिलीज। जानिये ओपनिंग डे पर मिला कितना जबरदस्त रिस्पॉन्स? 2.0 is very good movie, it is already hit in all languages versions now. Everyone should take part to encourage Indian cinema to make more such big movies specially people who are very much behind English movies. we can’r compare 2.0 to any Indian movie. Great effort which is paid off. Happy for its results. Besides the amazingly amazing special effects(where Indian movies are concerned)”2.0″ is an extremely ordinary film with everything and everyone being very awful except Akshay Kumar and Amy Jackson who were both quite competent in their respective roles. Shankar is a horrible director who reminded me of the Ramsay brothers when it came to executing his skills in this particular department . Like Shankar,Rajnikant is a very very poor actor and I am baffled as to how a man based on a few mannerisms/styles/gesticulations can be arguably South India’s if not, India’s No.1 star! Like most Indian big budget films the script was very poor and almost non existent. If you are keen to watch wonderful special effects in an Indian movie then go for it,if not there are a lot of good shows on Netflix etc. 4/5 is little too much, it can be 3/4 maximum. Umesh I really appreciate your reviews .So I frequently read it.But this time I completely disagree with you. It’s definitely not a 4 star film. Effort & intentions are good.But it went wrong. I can see how they wasted 542 crore to make this crap. Don’t know how you liked it umesh. I almost read all your reviews ,first time I feel you are not honest this time. Robot 2.0 is a fantastic movie. I love this movie because of Akshay Kumar. He played a versatile role in this movie. 10stars for this movie.